A branding enthusiast, serial entrepreneur, and resilient businesswoman. Karen Post loves to present high-energy programs on branding, entrepreneurship and personal power. She shares knowledge, delivers meaningful content and inspires action. If you need a power-house speaker for your next event, Karen is your perfect choice. For more than 30 years, Karen Post has been developing solutions and implementing methods that make things happen. She started her first business at the age of 22, and built two successful companies: an award-winning ad agency and a legal communication firm specializing in high-stakes litigation that she led for over twenty years. Her life and business journey has included ups and downs, victories and defeats all adding to her success and unique experience-rich perspective. Since 2000, she has led Brain Tattoo Branding, a firm that provides creative and strategic services to start, grow, and manage brands. Karen is a sought after speaker, who addresses global audiences, and is proud to have been the first female American speaker to address the Saudi Arabian Airlines national conference in 2011. In 2006, she launched Brain Tattoo Publishing, an online enterprise for creatively-charged entrepreneurs, business professionals and marketers that now produces digital learning tools in niche markets. Throughout her career, her work has benefited diverse industries, from start-ups to Fortune 500 companies including: ACNielsen, Celanese, Choice International, Cox Cable and Media, Saudi Arabian Airlines, Chevron, Johnson & Johnson, Bank of America, Xerox, Sara Lee, Pepsi, and Procter & Gamble along with many emerging businesses, trade associations, professional athletes, entertainers, and politicians. Karen makes people confront comfort zones in a healthy way. She challenges conventional thinking and opens minds to new possibilities. “Can’t be done” is not in her vocabulary. She gets excited about what does not work and lives by the mantra “No risk. No nothing.” Karen has been a regular contributor to Fastcompany.com and has been featured branding expert in over 300 business and marketing print, broadcast, and online media outlets. Her writing about small business, branding, advertising, marketing and social media is published internationally. Karen has authored two marketing and branding books, her latest is Brand Turnaround: How Brands Gone Bad Returned to Glory… and the 7 Game Changers that Made the Difference (McGraw-Hill). Her first book Brain Tattoos: Creating Unique Brands That Stick in Your Customers’ Minds (AMACOM) was published in the United States and in Korea. 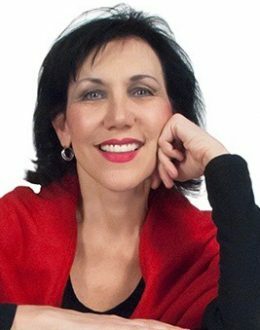 Karen helps organizations excel through distinct brands and personal power. Her keynotes inspire, her workshops empower, and her facilitation sessions stimulate innovation and release bottled-up ideas for action.